Democratic leaders in New Jersey recently informed the public of a blueprint to a multibillion-dollar legal cannabis industry. One that would create hundreds of millions of dollars from ancillary services as well as substantially increase employment rates. The Democratic leaders have even thrown in provisions that could benefit thousands. Provisions that allow for the deletion of convictions for low-level criminal arrests in association to cannabis. 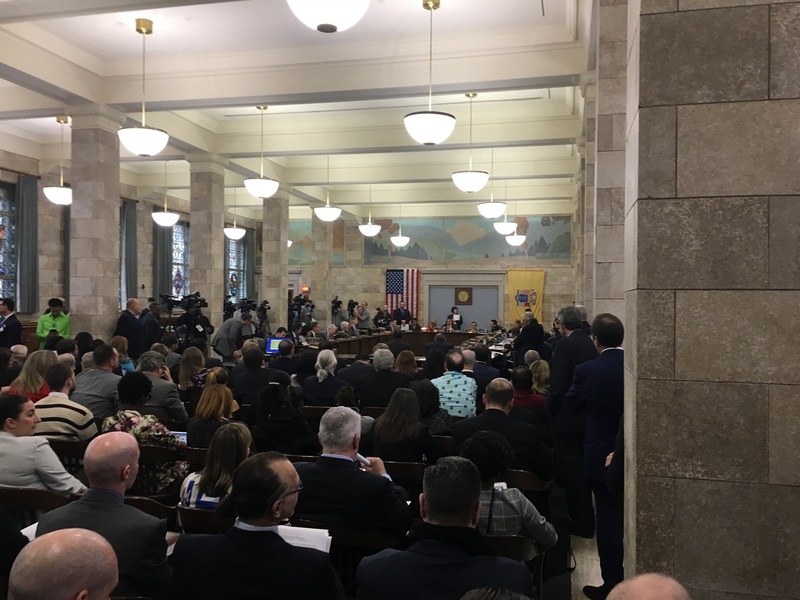 Hearings have already begun for the New Jersey Cannabis Regulatory and Expungement Aid Modernization Act. Currently, there are 147 pages for lawmakers to sift through. The current recommendations would allow the possession of 1 oz of cannabis for adults 21 years and older. It would also impose and regulate a 12% commercial tax across the state on the cannabis industry. In addition, there’s also a 2% excise tax for any town that would host cannabis businesses. Apparently, New Jersey lawmakers have watched what’s going on around them. Like so many others they are trying to iron out the details so that citizens and the state can both benefit the most from cannabis legalization. The most current version of the legislation under review will allow for cannabis delivery services. It will also allow dispensaries to have consumption areas as well as for public lounges to exist where consumers would legally be allowed to use cannabis. This is in addition to the potential of changing thousands of previous offenders records. These are all issues that have been faced by other states who have legalized retail cannabis such as Colorado, Washington, Oregon, Nevada, and Alaska. Regulations surrounding the cannabis industry in Colorado are approaching a sunset. This means it’s time for state leaders to reevaluate what’s working and what isn’t working with cannabis in the state. From this point, new laws and regulations pertaining to cannabis could be developed. Some of the areas that Colorado will be looking at are the same aspects that New Jersey is already working on. Some of the things that the New Jersey Cannabis Regulatory and Expungement Aid Modernization Act addresses in full. Quite possibly one of the most intelligent moves witnessed by a state creating cannabis reform laws would be the move to strike the word marijuana from reference. Instead, it will be replaced with the scientific term cannabis that specifically relates to the products in legal markets. The word marijuana is a slang word. One born of prohibition that has a negative stigma towards women and people of color. Also, New Jersey lawmakers appear to be much sharper than some others as they recognize that you don’t use slang words like “marijuana” in legal writing. Should the New Jersey Cannabis Regulatory and Expungement Aid Modernization Act pass, it would be a monumental moment in the state’s history.